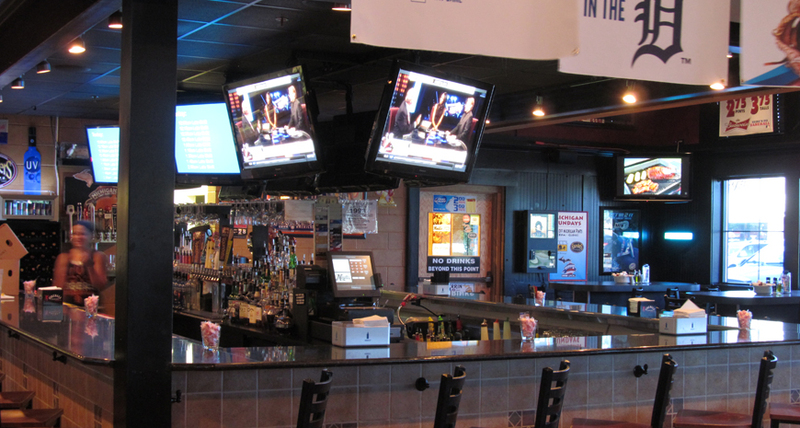 When owners changed for Monelli’s sports bar we were handed the task of updating the older tube style tvs, add more TVs, projectors and screens, surveillance system, and organizing their cable boxes and set-up. 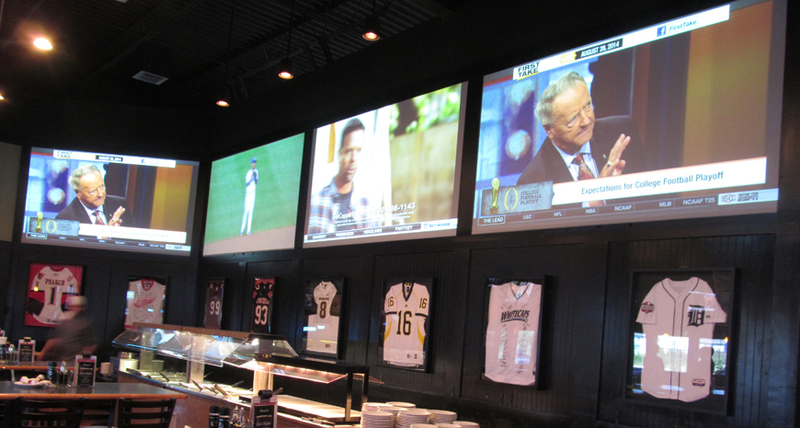 Adding a total of 26 TVs, 6 projectors and screens, 9 bar TVs, audio equipment, and surveillance does come with challenges. Keeping the wires and cable boxes hidden has been an ongoing challange as we’ve maintained Monellis equipment. 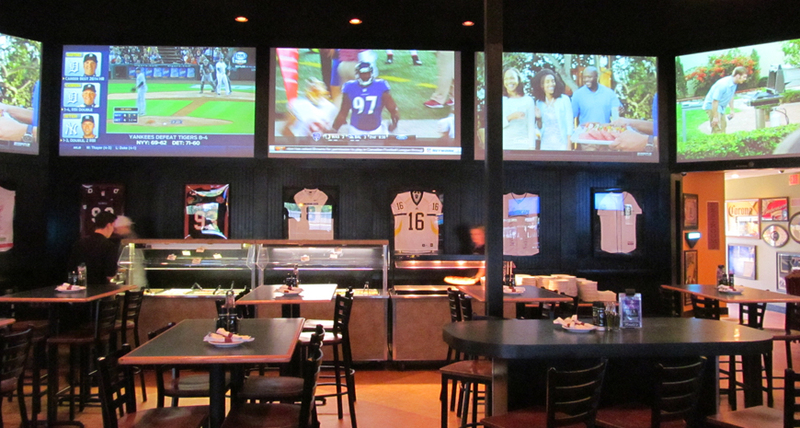 It was also a challenge to mount their 65 inch TVs 12 feet high. 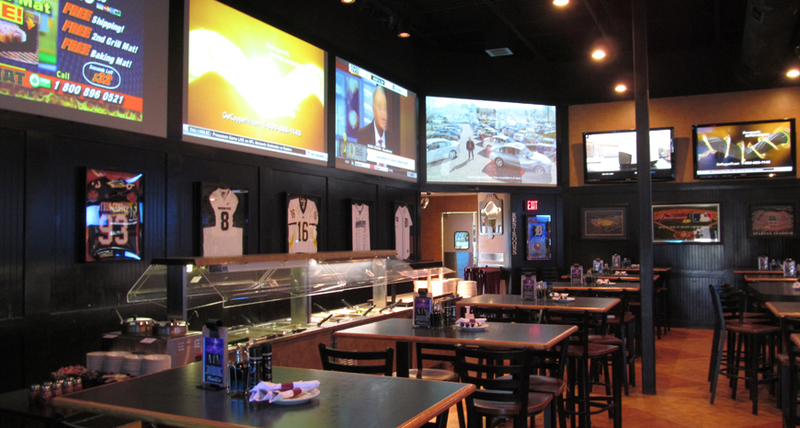 As always we, literally, rose to the challenge and provided Monelli’s and it’s customers with a high quality one of a kind viewing experience.